You asked for it - it's here! 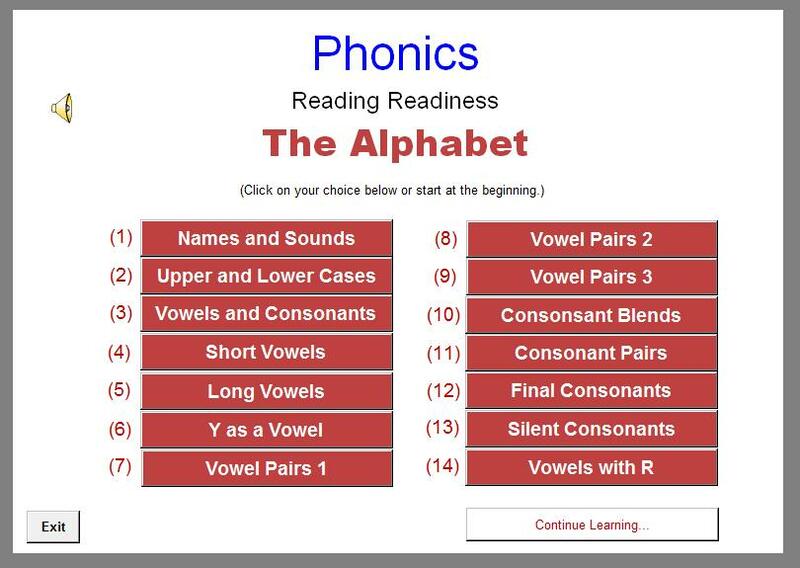 The MathMedia Phonics program emphasizes the language skills that will not only meet the student’s present needs as a beginning reader (or newcomer to the English language) but will also provide a foundation to advance into higher levels of reading and thinking language courses. Learning the fundamentals of English language phonics and usage are necessary for basic reading, writing and speaking. 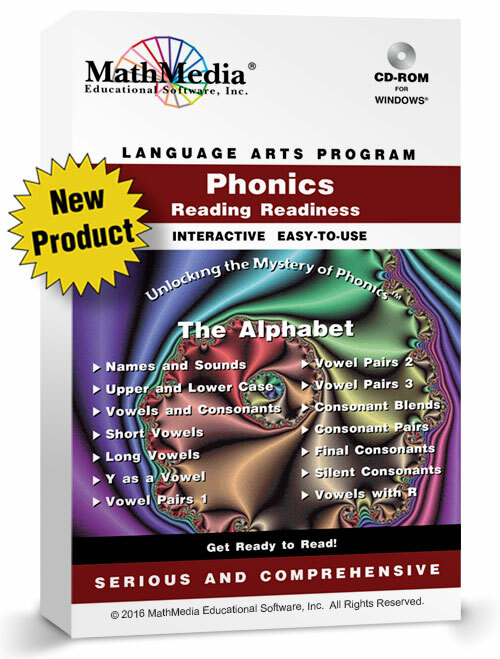 This program, therefore, stresses the important basic phonics rules for students of all ages. Short, clear, concise explanations with audio assistance are given and immediately followed with exercises to practice the concept. Practice exercises range from the simple to the more challenging, enabling a diverse group of ability levels to learn. The presentation is straight forward allowing the teacher to assign the material in his/her own way. The arrangement of the topics is flexible. 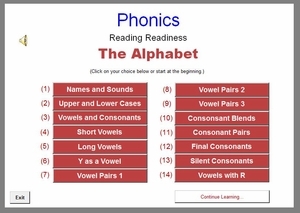 The menu offers lessons in basic alphabet concepts divided into vowels and consonants with the help and encouragement of appropriate graphics and on-demand audio. After a few lessons, the student is introduced to short sentences, always with audio guidance and helpful graphics. Each lesson is scored to measure student achievement. After the score analysis, the student may return to the lesson to correct their mistakes. All attempts are recorded on the included database. Upon returning to the program, the bookmarking feature takes the student to the point in the program where they last worked.